Evening Style: a midi skirt! 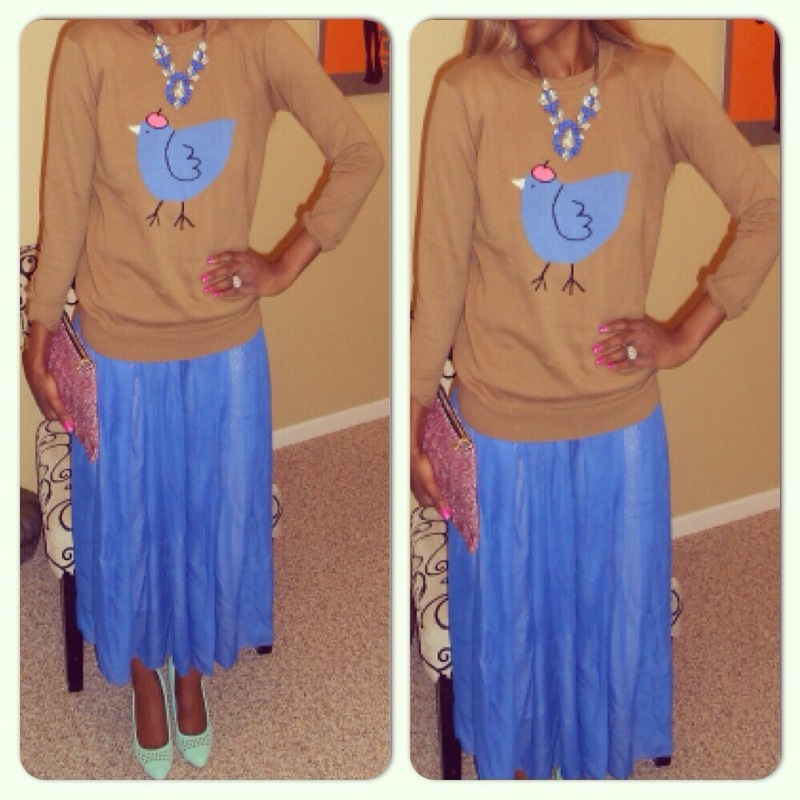 How to achieve the look: Pair a graphic sweater with a midi skirt and pumps or booties! Accessorize with a clutch and statement necklace. Enjoy your evening dolls! !